Recent observations by Oregon public records advocate Ginger McCall reveal the difficulty citizens have in obtaining public documents due to prohibitive fees and delays in the system processing their requests. (TNS) — That it is hard to keep an eye on government in Oregon is the major takeaway from the first report from Oregon's new public records advocate. Across Oregon, people struggle to get information about police, schools and the most powerful public officials in the state, the advocate found. Oregon has had an open records and meetings law on the books since 1973. The law, passed in the wake of the Watergate scandal, gives every person a right to see any government document in Oregon, with limited exceptions. Today, the public often faces high fees and long delays when trying to access information about their government, Oregon public records advocate Ginger McCall wrote in her report. The exemptions that were intended to be limited now number more than 550. 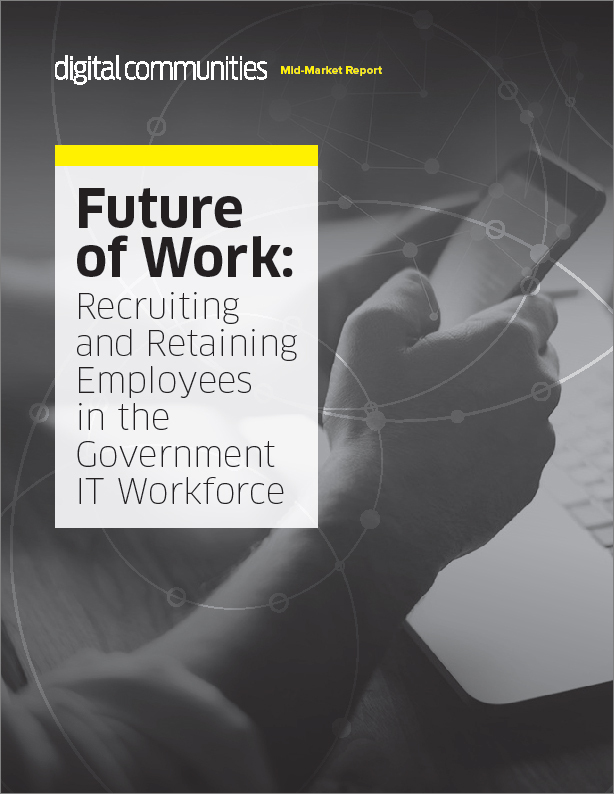 These problems are often caused or exacerbated by the fact that many state and local government agencies underfund records staffing, the report says. McCall's 15-page report is based on her observations over her first eight months as Oregon's records advocate. She's crisscrossed the state to provide 38 trainings that she says reached roughly 1,500 people. She technically only holds sway over state agencies, but she's made a mission to offer advice and training to any public agency or requester in the state. At present, McCall said, the burden to ensure the government doesn't illegally hide information falls largely on the public. That's a problem, she says. Most people aren't able to go to take their government to court to make sure the law is followed — often the only recourse when a person seeking government documents believes there has been unlawful secrecy. Agencies often complain they are burdened by complicated requests for documents and the sheer volume of inquiries from the public, McCall noted. Still, agencies sometimes make it hard for a person to get even basic information about his or her own life, McCall said, citing an Oregonian news story. An investigation by The Oregonian/OregonLive, which is cited in the report, found Portland crime victims face long delays and expensive fees to access their own police reports. The average wait for a Portland police report in 2017 was 133 days. "When public bodies are not adequately funded, then requesters are expected to make up the difference to cover the costs of public records requests," the report says. "Public bodies' ability to procure necessary technology and staff depends on buy-in from leadership." Leadership buy-in would also make clear "requests are not merely an afterthought, but are, instead, a primary part of every public body's mission," she wrote. The Legislature tried to fix public records delays in 2017. But the law designed to hold agencies to a deadline has a loophole that undercuts its entire purpose, McCall wrote. If an agency says it is too swamped, it can bypass the legal deadlines. That's how the Portland Police Bureau is able to take so long to produce basic records. McCall suggests lawmakers add penalties to the law to incentivize agency leaders to see records requests as a core function that must be taken seriously. "Public bodies' ability to procure necessary technology and staff depends on buy-in from leadership," McCall wrote. Oregon's records law says agencies must pay the legal fees of requesters who challenge a denial of records in court and win. But McCall said people struggle to actually obtain the money they are entitled to. Some judges have determined agencies only need to pay legal costs if a judge forces them to disclose records. So if an agency facing a lawsuit decides to voluntarily give up the records, the agency can avoid being on the hook to pay the requesters' legal expenses. Officials with the Seattle Police Department said Washington's strict records law, which penalizes agencies that act in bad faith, is why a person can usually obtain a basic Seattle police report in less than a week, typically for less than $1. Financial penalties for any delay "drives our funding, that drives our decisions," Mary Perry, the Seattle Police Department's director of transparency and privacy told The Oregonian/OregonLive. "So, we do get at least enough funding so we can at least keep this process going." McCall's observation that penalties would help isn't an official legislative proposal; it's her personal observation, she said. The report outlines two official legislative proposals from the public records advisory council: The life of the council should be extended beyond its 2021 sunset and state agencies should be required to report each year how many requests they received and how they they handled them. McCall's analysis is anecdotal, a problem in and of itself, she notes. There is no requirement that agencies report or track information on records requests. A reporting requirement, she said, would reward good actors and help identify agencies that must improve. McCall started as the state's first public records advocate in late April. The Legislature created the job at Gov. Kate Brown's direction and Brown selected McCall from three nominees of the advisory council. McCall said renewing the Public Records Advisory Council is critical for her to be able to push for policy changes down the line, as the council helps her vet changes and makes proposed legislation more likely to succeed. The council also provides oversight of McCall. Only the governor or the council can remove McCall from her post. The council is set to expire in 2021 and keeping it going, the report says, is critical to meaningful change in Oregonians' ability to understand their government. ©2018 The Oregonian (Portland, Ore.). Distributed by Tribune Content Agency, LLC.